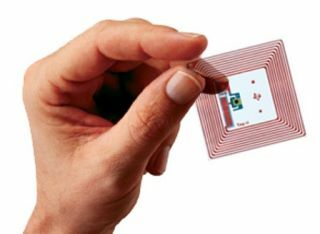 Could this RFID chip tell you what to wear? Welcome back to another edition of the Overnight News Roundup. Without further ado, check out the stories you missed last night. A new study has hit the wire suggesting what a research firm, Solutions Research Group, believes will be the hottest tech sellers for the holiday season. What would you expect to be number one? The iPhone? Number 15. Any old mobile phone? Sixth. The winner? HDTVs. According to the study, 35 per cent of respondents want an HDTV this Christmas. With budget HDTVs going on sale all over the world, it was only a matter of time before larger firms needed to drop the prices on their own devices. And if you're in the mood for a Philips HDTV, you may be excited to know that the company has dropped its plasma line below the $1,000 (£490) mark. If you use a smartphone or another mobile device capable of browsing the internet, you probably know how frustrating it can be to get Mobile Internet Explorer or Blazer to work the way you want it to. But could Firefox be the saviour we've all been looking for? According to Mozilla, a mobile Firefox platform is on the way and it could knock our socks off. I don't know about you, but when I spend my dark nights with my night vision goggles on, I just can't help but wish for a keyboard that works with those goggles. My dreams have finally come true: a new company called iKey has unveiled a new keyboard specifically designed to work with night vision goggles. With Facebook throwing haymakers and MySpace on the ropes, is there any way the service can turn itself around? According to reports, MySpace is trying to do just that. The social networking platform may be poised to release a Facebook-like app platform that the company hopes will increase membership. Time will tell. Internet2 - a service designed specifically to increase Internet speeds - is ready to release its 100Gbps fiber optic bandwidth starting in January. The group has said it will be doling out the bandwidth in chunks of 10Gbps, but it's already working on ramping up those chunks to 20Gbps to help vendors out. Remember all that speculation saying that the Google-Doubleclick deal may not be happening after all? Well, according to antitrust experts, it looks like the $3.1 billion deal will probably go through without any trouble. The experts say that to an outside observer, online advertising is a "big wide open field" and there should not be anything to worry about. If you're anything like me, you need all the help you can get while getting dressed. Luckily for us, Galeria Kaufhof in Essen, Germany, an RFID reader is attached to a "smart mirror" to tell you what looks good and what should be added to another article of clothing to make you stylish.